The Gazi Husrev-beg Mosque (Bosnian: Gazi Husrev-begova Džamija, Turkish: Gazi Hüsrev Bey Camii), is a mosque in the city of Sarajevo, Bosnia and Herzegovina. It is considered the most important Islamic structure in the country and one of the world's finest examples of Ottoman architecture. It is located in the Baščaršija neighborhood in the Stari Grad municipality, and remains one of the most popular centers of worship in the city. The Gazi Husrev-beg Mosque was built by the famous Ottoman architect Mimar Sinan, who would later go on to build the Selimiye Mosque in Edirne for the Sultan Selim I. The mosque was financed in 1531 by Gazi Husrev-beg, the provincial governor of Bosnia. Gazi Husrev-beg is widely considered Sarajevo's greatest patron, as he financed much of Sarajevo's old city at this time. Magnificent stalactite ornamentation in the angles under the dome and in the place where the imam leads the prayers, as well as other polychromatic decoration, valuable carpets and the light effects through the 51 windows produces a sense of greater space than there is in reality. At every time of prayer in this mosque, the great benefactor Gazi Husrev-beg is remembered. In his legacy, he stated: "Good deeds drive away evil, and one of the most worthy of good deeds is the act of charity, and the most worthy act of charity is one which lasts forever. Of all charitable deeds, the most beautiful is one that continually renews itself." 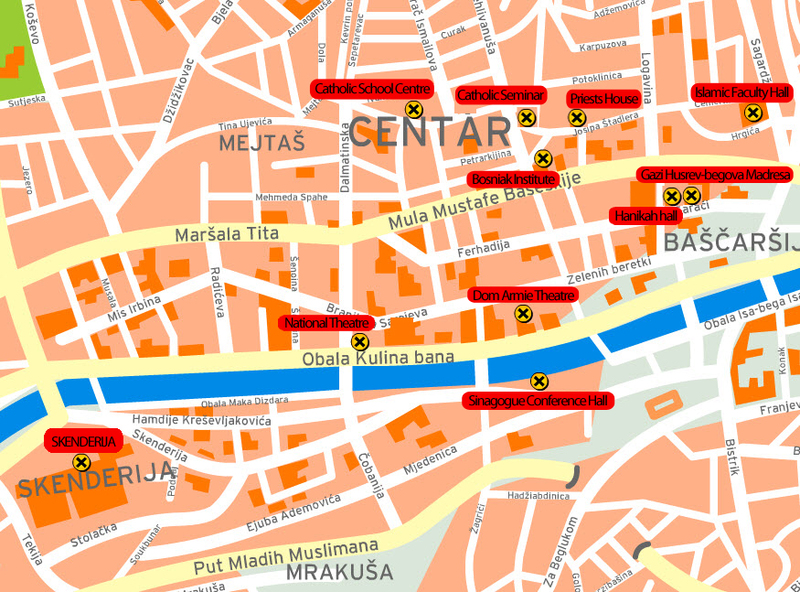 During the Siege of Sarajevo, Serbian forces purposely targeted many centers of the city's culture, such as museums, libraries, and mosques, and fired on them generally. As the largest and best known, the Beg's mosque was an obvious target. Heavily damaged in the war, it was renovated in 1996 with foreign help. Haverford College Professor Michael A. Sells has accused the renovators (whose money came in large part from Saudi Arabia) of Wahhabism in the mosque. Prior to reconstruction, the interior was far more intricate, but today the walls are simply white, much of the detail, artistry, and color taken out. Complete restoration and re-painting of the mosque began in 2000. It has been done mainly by Hazim Numanagić, a Bosnian calligrapher.